Over one billion people will become part of the worldwide "obesity epidemic" unless international soft drink firms take swift, strong action on their sugar levels, a charity has warned. Action on Sugar (AoS) has called on them to set a target for global sugar level reductions. This follows its new figures which show that sugar levels among the same products vary wildly from country to country. AoS analysed 274 sugar-sweetened beverages throughout the world. Every drink tested would have incurred a red colour-coded tag, if divided into standard 330ml cans. Red means a product is "high" in sugar. Eight in nine drinks contained in excess of the total recommended sugar levels for one day, AoS found. It says the Earth's officially obese population may balloon to 1.12 billion by the end of the next decade if nothing is done. 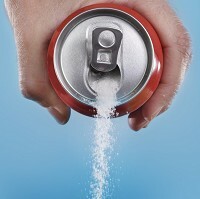 Too much sugar can lead to health conditions such as heart disease, diabetes and high blood pressure. But if people do suffer from these or other health problems, they can still enjoy the benefits of a relaxing holiday abroad. Medical travel insurance can take the hassle out of unexpected surprises, so tourists can concentrate on enjoying their breaks. The amount of sugar people consume in their soft drinks can vary markedly, depending on where in the world they buy them from, says AoS. The charity says the fact that British varieties of household-name soft drinks contain extra sugar than drinks in some other countries proves that brands could simply be re-jigged. Cardiovascular specialist Graham MacGregor calls obesity a growing "pandemic". Prof MacGregor, from Queen Mary University of London, says this threatens economic growth and he called on Prime Minister David Cameron to lead the action on this.